Cross-sector leader with proven results in designing, building and executing strategic initiatives for diversity and inclusion, social responsibility, philanthropy and government. Her contributions, professionally and civically, have earned her recognition including: 2016 City & State Responsible 100; 2011 Capitol 40 under 40 Rising Stars in Politics; El Diario/La Prensa’s Latinas Destacadas 2011 Award and city and state proclamations. In 2017, she was selected as an MAKERS@ Awardee recognizing her as a game-changing employee. As Executive Director for Corporate Social Responsibility & Diversity at Time Warner Inc. Yrthya works with company leadership across the divisions to create and implement strategies that will reinforce the company’s leadership in corporate social responsibility practices- including diversity & inclusion, sustainability, community partnerships and corporate responsibility reporting practices. Prior to joining Time Warner Inc., she was Senior Director, Corporate Responsibility and Inclusion at Thomson Reuters, where she was tasked with global strategy, policy, governance and new initiatives for the global technology and information leader. Yrthya served as, and holds the distinction of being appointed by the Governor of New York as the first, Chief Diversity Officer for the State of New York. In this role, she reformed and strengthened the State’s programs and efforts encouraging the growth of Minority and Women Business Enterprises (M/WBEs) eventually establishing programs and practices that led to increased contracting opportunities for M/WBEs. 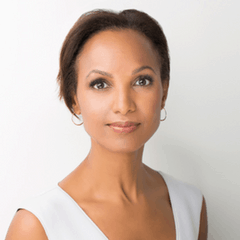 Yrthya currently serves as a trustee of the John Jay College Foundation, trustee of the Brooklyn Academy of Music (BAM), Corporate Advisory Board of Cultural Vistas and the D&I Advisory Board of the NY Public Radio. In 2016, she joined a select group of world leaders as a member of the Sustainability 50.